Stock Market: Firstly the stock market shoots down end May as the super-rich elite and fund managers sell down before they head off for their 3 month summer holidays with the kids – they need to be out of the market whilst they float around the Mediterranean in their super yachts. House Prices: The housing market slows down – it can even decline – as people look forward to their summer holidays. They don’t want to move in the middle of their summer holidays. The Londo n house purchases and house rental market both slow as people move overseas to their home countries for lazy summer holidays. Only the hotels are fulwith Middle Eastern people escaping the summer heat and the floods of overseas tourists. GDP: This slows down as people have burned themselves out working hard from January to June and want to take a nice long break with their kids – less activity, less output, less spending, less commuting, factories going slow or even shutting down. May High: In early May all the economic indicators always look good, but come the end of June – we expect to see a slowdown again on all fronts. This annual cycle also happens in the USA and mainland Europe. It’s particularly noticeable in London and Paris. When you smell the Cherry Blossom its time to sell. All Time Highs: At the moment, we recently heard of the FT100 hitting an all-time high, oil prices rising, a house price bubble developing, GDP accelerating and employment being at historic highs, All very positive, indicating a period of sustained economic recovery. Spring is in the air and everything looks rosy. But mid-May often coincides with the annual peak. Our advice for stock market investors is – get out of the market by 14 May - then get back into the market around early September when all the Fund Manager come back with their kids from their extended summer breaks. Also, don’t get too excited about all-time highs – since the last one was 14 years ago in 2000 and since then currency printing has seen debt increase by 5-10 fold. Using official inflation numbers only, this means Sterling is worth only 40% of its 2000 value. What we are saying is the UK stock market has now reach 40% of the 2000 value inflation adjusted – it’s actually crashed. Turmoil and A Bargain End August: By August there will be one crisis, another crisis and we will hear all those calls for the European politicians to cut short their summer holidays to do their duty and sort the crises out. Whether this is riots, financial turmoil, wars or strife – we don’t know, but it always seems to happen. During these economically quiets periods, it’s not a bad time to try and pick up a property bargain since the competition is far weaker as everyone is distracted by summery holidays and turmoil. You might find one or two worried sellers that think the market will go pear shaped that will take a low offer. Dark Nights and Growth: But as the days draw shorter, the temperatures drop, dark nights draw in – the economy picks up as millions of people start working again. The foreign workers come flooding in from all around the world to give the UK economy a big boost. Then the clamber for property starts all over again, as people start looking forward to their end year bonuses and fret about the size of their homes. Employment rises sharply and the output and consumption in the UK both increase. The stock market normally then goes up with it as consumer confidence is given a general boost. China: In our 2014 Predictions, you may recall we mentioned that problems in the South China Sea would come to a head. This problem is simply not going to go away – it looks destined to get far worse. The opportunity for China is a combination of nationalism, demonstrating their new military and economic power, oil-gas resources, fishing resources, strategic military presence and distractions from economic woes on the mainland. It puts them on the world stage. China will continue to bully its neighbours into submission by moving oil rigs, naval boats and fishing boats into parts of the South China Sea you never would have imagined. Tensions will escalate periodically and war could easily break out against any of its neighbours – Vietnam, Philippines, Malaysia, Brunei and/or Taiwan. It’s a real hotspot. More Wars: As they say, one normally goes from currency wars, to trade wars, to world wars. We have had the currency wars, we are starting the trade wars and as nationalism rears its ugly testosterone driven head, we will get regional wars breaking out. We are seeing the first signs in places like Ukraine and Syria. Expect more in Syria, the South China Sea and more problems in the Middle East with Iran and Iraq. What we are seeing in Ukraine is very troubling – may be everyone is in denial about the extent of the problem - it certainly has some echoes of early behaviours seen prior to World War II in Europe. Safe Havens: As global tensions rise, there will be a dash to safe havens. 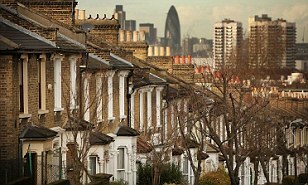 London and the property market will probably see a further influx of foreign investment as the super-rich bail out of the homelands or at least look to hedge their bets buy buying a big London home for their family in case things go pear shaped. Expect more Chinese, Ukrainian, Russian and Syrian investors swelling the ranks of other overseas buyers like the French that are escaping punitive taxes and regulation. The US will also be seen as a safe haven simply because of its immense military, resources, technology and security enforcement forces. Another Boost: If the opinion polls continue to improve for the Tories this will give a further boost to London property prices in the expectation that a Tory Coalition could be formed in May 2015 that would continue existing policies and not tax Londoners prohibitively. A key concern is a so called “mansion tax”- for Londoners this would be a a tax on a 4 bedroomed terrace house in West London. 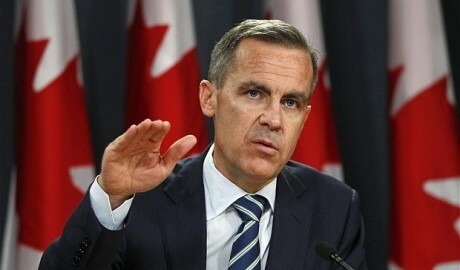 Dovish Carney: Mark Carney is famous in Canada and globally for creating a huge debit expansion that fuelled a housing boom that is yet to deflate. He likes to keep interest rates low, he’s a dove, one of the reasons he was selected for the role by the Tories no doubt. Despite property prices rising 12% per annum in London and 6% in the UK, it still looks like he will keep interest rates at 0.5% until after the General Election May 2015. The Bank of England quite rightly points out there is no sign of a new credit housing bubble – levels of borrowing remain quite subdued compared to the period 2004-2007. There must be a lot of cash buyers out there. Savers Destroyed: In keep interest rates at record low, this penalises savers (often the elderly retired). The Bank of England will instead tighten lending criteria that will help kill off the first time buyer market – but the record low interest rates will help existing home owners, buy to let investors and foreign investors. 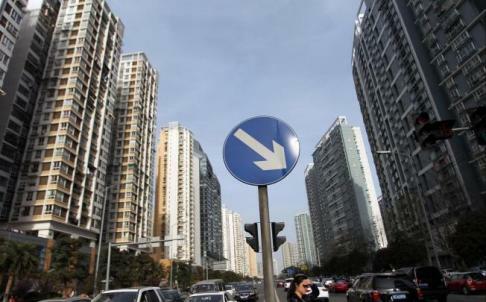 It will help boost property prices further and indirectly drive a wedge between then younger 20-35 year old existing renters, and the 45-70 year old wealthy existing home owners that can afford deposits and are entitled to the new loans for investment property. So we have a situation in London where conditions are set for continued property prices increases after a period of hiatus in the summer driven by record low interest rates and floods of wealthy people wanting a piece of London as a hedge. Landlords should benefit from higher yields – a combination of strong rental demand and rising asset prices. Interest Rates For The UK: The Bank of England are rightly concerned that any interest rate increase will kill off any early economic recovery in the north and west. The media seem to focus on rising house prices in London, but few have experienced the depression and deprivation in rural, northern and western areas – property prices are still depressed and manufacturing took a huge hit along with the public sector slowdown after the financial crisis in 2008 through to 2010. The money ran out under Labour and things have not recovered – remote areas have been in a depression for 7 years now. This is one of the reasons the bank of England want to keep rate low – not for London microcosm – but for the deprived areas which is 65% of the UK population further than 100 miles from London. Tories: The Tory Coalition have certainly succeeded in manufacturing a boom from March 2013 through to now – at least in southern England - and it looks likely to continue after the summer slowdown through to May 2015. It will be their only way to get voted back into power – it’d still unlikely since Labour have so many small urban constituencies – the Tories needs 2% more of the vote just to get the same amount of seats. But they must now think they are on the right track and in with a realistic chance as the Ed Milliband and Ed Balls combination (Co-Ed) keep coming out with populist anti-business socialist rhetoric that hails from the 1970s. US Fed Angle: If the global economy starts to slow down dramatically – the only tool the US Fed knows how to use will be pulled out again – namely – currency printing. QE or Quantitative Easing as they politely call it. About four gigantic bouts of QE delivered very little real US growth and kept zombie banks afloat – many struggling to make a profit despite mortgage rates at 5% and base rates at 0.5% - a gigantic differential – free money for the super-rich. Expect more of the same if the economy trips over with an every present threat of hyper-inflation and currency collapse. Printed Currency: Which brings us onto why the London property market has seen such gigantic rises. Most people point to a lack of supply. There is no doubting this. But no-one ever points to the gigantic printing of currency both in the UK and US that occurred 2009-20013 – which was then exported all around the world – and is now coming back home in the form of inflows to the UK as a perceived sage haven. Yes, we caused this printing and we are getting this currency back in the form of massively inflation London property prices. Just to flag a very small 3-4 bedroomed terrace house (that’s two floors and a loft conversion) in Fulham now costs £1.25 million. Just imagine back in 2002 if someone had told you this would be the price of a house in non-prime London – you would not have believed them. But then this currency can’t buy much these days since inflation has been so rampant – and don’t expect it to slow down because it’s everywhere to be seen for people in London. Transport, tax, fuel, food, restaurants, property, rent – they are all skyrocketing. Meanwhile the Government try and kid us that the inflation rate is only 1.7% and they don’t need to put up interest rates. Outlook: So looking forwards to the May 2015 General Election, we don’t see any big interest rate hikes, we see official inflation round 2%, rising employment and London property prices continuing to climb – with a ripple effect out to the provinces. But remember it’s been 5 years since the last recession – so we are due another one shortly. It only takes a war with oil prices zooming up to $130/bbl from the current $100/bbl to cause this recession. If oil prices rise and war breaks out – then expect gold prices to shoot up from the current $1300/ounce level as currency printing starts again to fund military excursions and depress currency values. Its certainly going to be interesting seeing what happens this summer. It’s probably not going to be pretty. We hope this Special report has been insightful and helpful for your investment portfolio.